ROY LICHTENSTEIN RARE FABULOUS BEAUTIFUL COLOR SCREENPRINT, LITHO, COLLAGE, AND EMBOSSING. 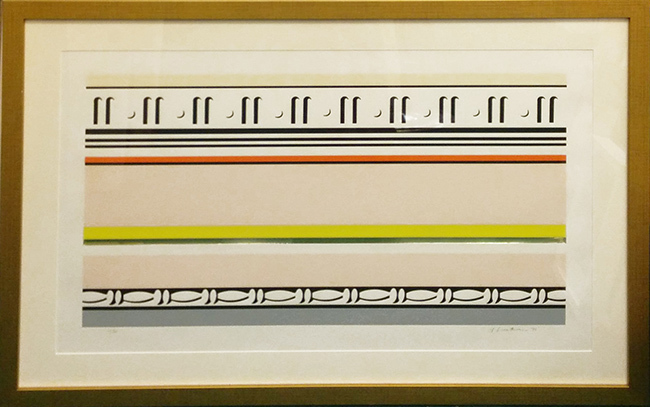 Color screenprint, lithograph and collage with embossing, 1976, on rives BFK, signed, dated and numbered in pencil, from Entablature Series, EDITION OF 30, published by Tyler Graphics ltd., Mount Kisco, New York and with their blindstamp, in good condition, with full margins. 21 7/8 x 38 inches; 556 x 965 mm. Sheet 29 1/8 x 45 inches; 740 x 1143 mm. 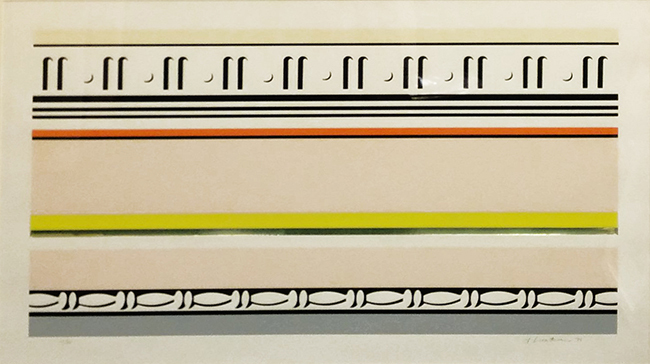 Click the button below to add the Signed Entablature VIII By Roy Lichtenstein Framed Retail $16.5K to your wish list.